May 23 was a big day for Seaview Boatyard. In front of other industry giants like United Airlines and Vigor, they received the Port of Seattle’s small business distinction for their education and outreach. While that accommodation is no surprise to the Clean Boating Foundation, it is exciting that they are receiving the recognition they so richly deserve. And if you have ever seen Seaview in action, you know that they say and do the right things for their customers and for the environment. 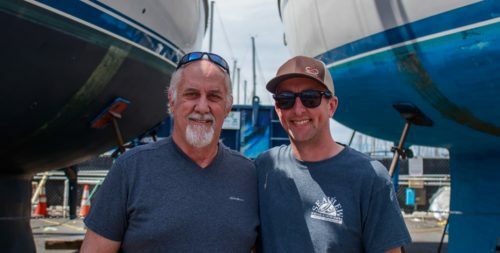 In particular, they were the first to install advanced treatment purification with their StormwateRx system and jumped on board with the Clean Boating Foundation when we first set out to designate boatyards as clean. Seaview operates three full service boatyards in the Puget Sound area. Phil Riise founded Seaview in 1974 and handed off day-to-day leadership to his son Tiel in 2017.